It’s always nice to have a look at Venus while so close to the sun, just some weeks before her sun’s rendez-vous June 6th. 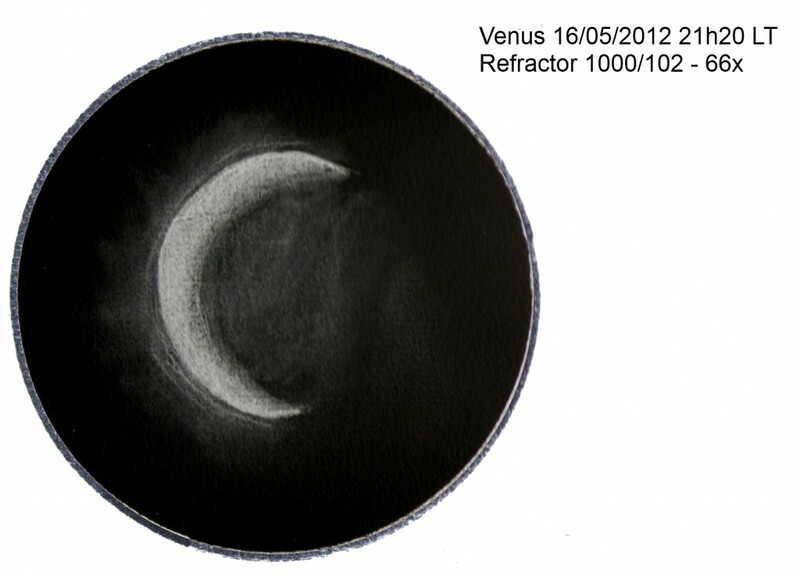 I prefer to draw the brilliant Venus when the darkness is not too deep, then the contrast is more convenient. Previous Previous post: 28 is 28 & Cleopatra had her beautiful eye on me!